It's entirely typical of the man that Wicky Sundram not only agrees to meet at short notice, but also takes the trouble to ensure this interviewer arrives at the right place. Not easy Phuket Boat Lagoon is vast, a complex of 104 acres comprising condominiums, apartments, boat-handling facilities, stand-alone bungalows, shops, and restaurants - all cheek by jowl with the largest marina in Phuket, which offers mooring and dry docking facilities for every conceivable kind of sea-going craft. To oversee it all must be a daunting task, but to Wicky, Executive Director for the past nine months, it's a "challenge" which he embraces and enjoys. What makes it even more of a test is that last year a massive redevelopment was initiated with the ultimate aim of creating what Wicky calls a 'township' - an exemplar of a model marine village. He sees his exacting role as expanding the branding, commercial, and marketing side of the group's marina and hospitality business. Wicky's route to the top has been an unconventional one. Unquestionably, his wide-ranging career path has stood him in good stead. After completing a diploma in accountancy in 1985, he eschewed a conventional post in banking. Instead, he became involved in Kuala Lumpur's entertainment business, graduating to the responsibility of running night clubs as well as organizing live gigs and concerts. By 1996, and already with a wealth of experience behind him, Wicky became general manager of TGI Fridays, an American-owned restaurant chain. Subsequently invited to manage the Langkawi Yacht Club on a six-month contract, Wicky eventually stayed for 17 years. 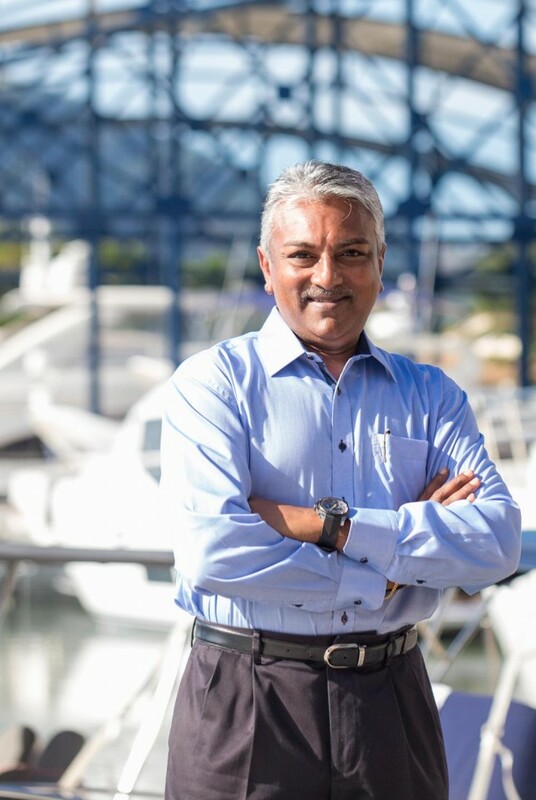 During that period, he played a pivotal role in redeveloping the club, transforming it into one of the leading marinas and resorts in Malaysia. The number of berths was hugely increased and the prestigious title of Royal Langkawi Yacht Club (RLYC) awarded to the operation. Wicky was also heavily involved with the development and organization of the Royal Langkawi International Regatta, a prestigious event held annually ever since its inception in 2003. One of his major coups was to persuade the Malaysian Prime Minister to approve a grant whereby the complex was upgraded to international marina status, with moorings for 250 boats. A 'Marina of the East' was born. And as if that was not enough, Wicky even found time to study for and complete an MBA from the University of Southern Queensland in strategic marketing, despite the fact that he possessed no first degree and all at the age of 45. Wicky's massive contribution to Malaysian culture has, quite properly, been recognised at national level. On 21st of January, 2016, he was awarded the Exalted Order of the Crown of Kedah, a rare award bestowed in recognition of his input both to RLYC and the economy of the country. So what impelled Wicky to move, lock, stock and barrel - and at a time when many are contemplating retirement - to Phuket? Mix of motives. Having been associated with the RLYC for 17 years, Wicky felt that he had taken the project as far as he could. In his own words, he thought he was "going to be bored", so he handed in his notice and looked for a new challenge. He also wanted more time with his family. An onerous schedule had meant he had seen all too little of his young son, Dhanesh and his wife, Jeniffer. As Wicky sagely observes, "When the family is in order, everything else works". 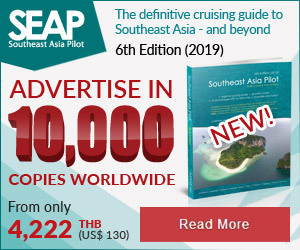 The new beginning came almost immediately, with the offer of a position as Executive Director at Phuket Boat Lagoon. The decision to come here was a no-brainer. New challenges awaited, and taking the plunge by moving to Phuket meant that the family could live under one roof. The educational opportunities for Dhanesh were enhanced, especially in a learning environment where English was the preferred language. He is currently studying in grade 10 at Headstart International School. Wicky now works for a family-owned enterprise with a predominantly Thai staff. Quick to sing their praises, he describes the owners as "very people-orientated" and his fellow workers as "a great team"… and that from a leader who is a fourth-generation Malaysian whose ancestors hail from Kerala in southern India. In fact Wicky's native tongue is Tamil, though his English is so fluent that you would scarcely guess that it is his second language. He jokes - frequently - in English, and is never lost for a word. As for his good relations with staff and owners, it's no accident: he's always made a point of learning about and respecting local culture. Nine months on, Wicky is happy in Phuket. While he worries about the mayhem on the roads, especially with a son of 17, he sees a bright future for the island. You may be sure that Wicky and his dedicated team will be at the forefront of future developments.